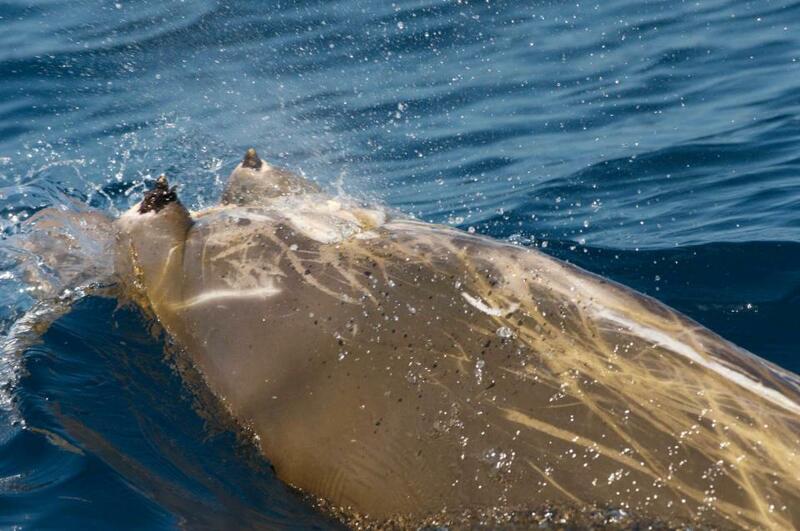 After a quiet spell on the cetacean and sirenian front, there is exciting news to report. 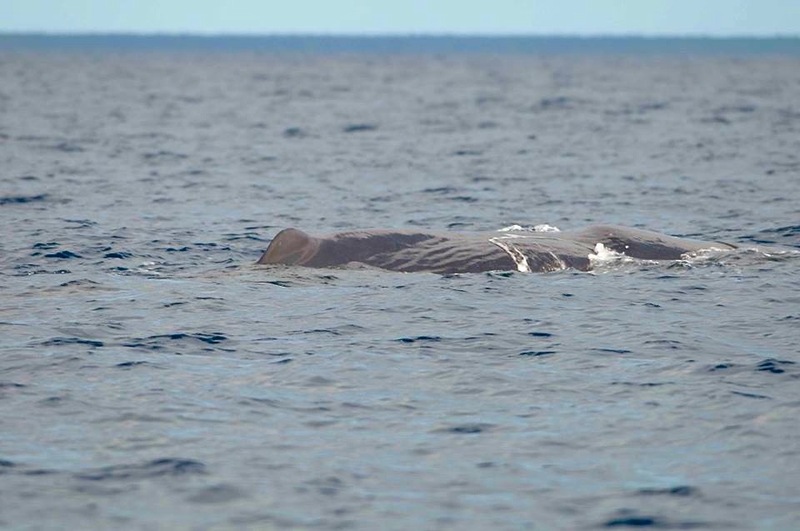 First, the BMMRO encountered two sperm whales just off Sandy Point. I don’t know how close to the shore they actually were, but it was very friendly of them to come so near to the BMMRO HQ. 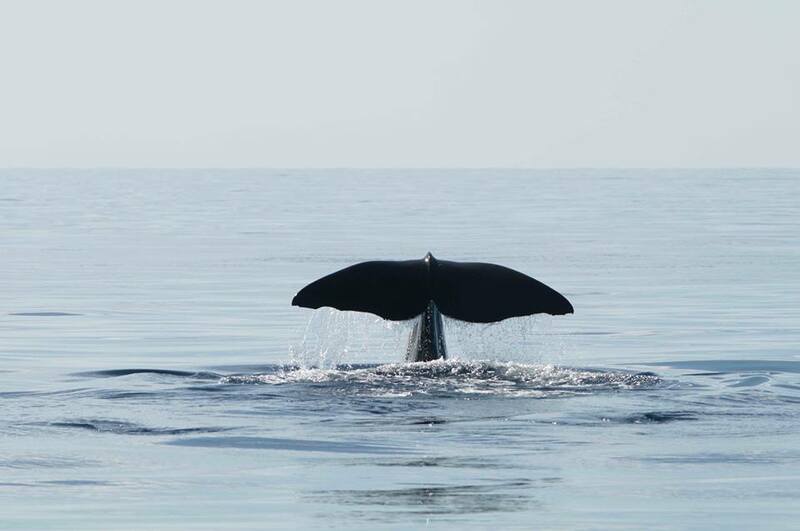 When whales are sighted from the research vessel, one of the tasks is to collect feces. This job is often undertaken by interns, and is a good way to learn that serious research may well involve unattractive work… They practise with… er… coffee grounds and a net. For more on this important yet unappealing aspect of whale research, CLICK NICE TO SEE FAMILIAR FECES. Another essential part of any sighting is to take fluke photos to enable ID. Every whale has different and distinctive patterning to the fluke, including general wear and tear. As a photo archive is built up, the researchers are able to recognise a particular whale and cross-reference it with previous sightings. 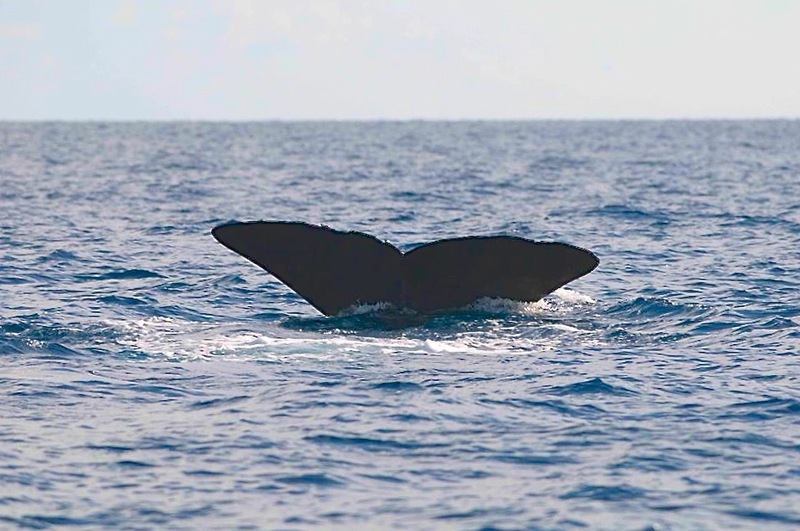 The third task of a sighting is to record clicks made by an individual whale. This enables an estimate of the whale’s size to be made, and again a sound archive is gradually built up from which comparisons can be made. 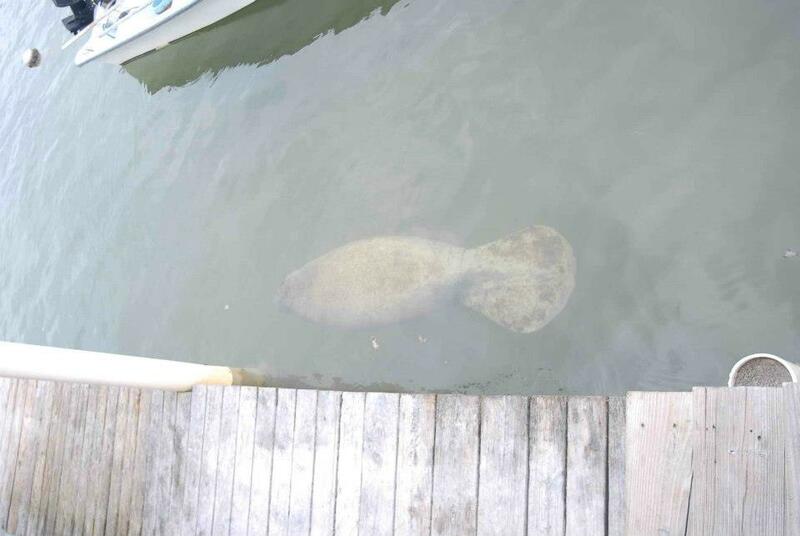 FRIENDS OF THE ENVIRONMENT has just reported the sighting of a new manatee at the head of Marsh Harbour harbour. I’m not aware of any other sightings in the last couple of days, but as they say, “Please keep your eyes out and drive carefully! 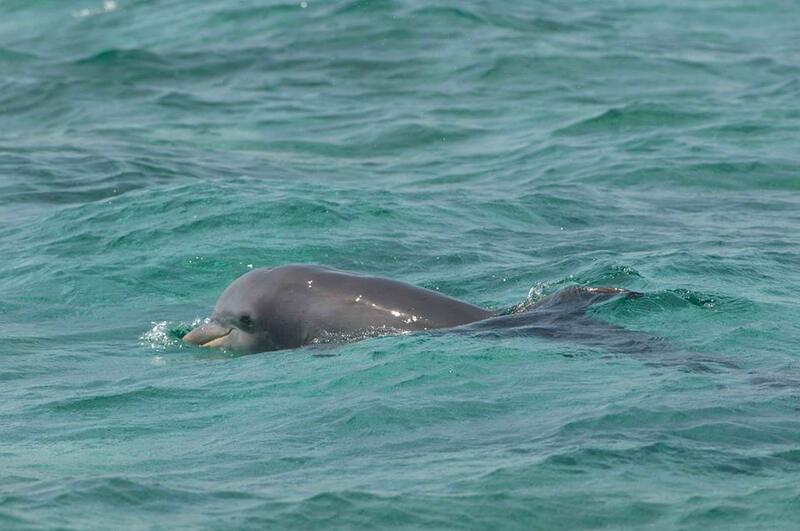 Contact Bahamas Marine Mammal Research Organization with any further sighting reports by calling 357-6666. You can also share photos with them on Facebook. Also, please do not feed the manatee. They are able to find their own food and anything else may make them unhealthy”. Just as with the whale flukes, the tail of a manatee is an important means of identification. 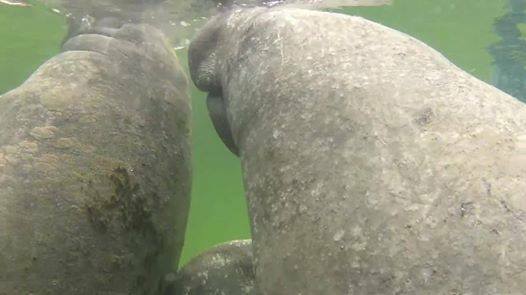 The new manatee’s tail has its own distinctive edge pattern, which will enable its future recognition. Here is an image of Randy’s tail, with its unique notch. 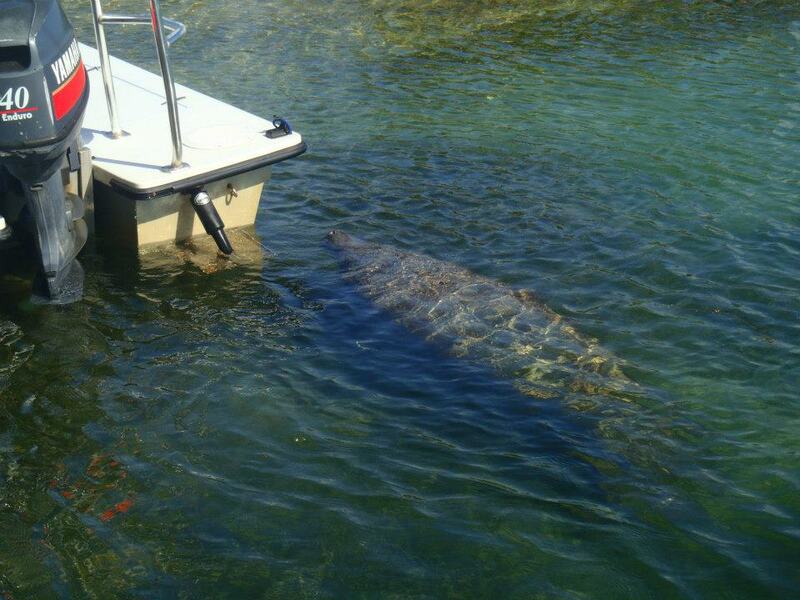 RANDY: LOOKING FOR MANATEE LOVE IN ABACO? Strangely, the opportunistic title of this post may not be as contrived or daft as it looks. The facts are these. 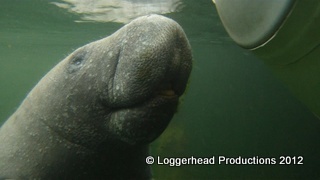 THE FEMALE In 2012 GEORGIE, a young female manatee, left her mum in the Berry Islands and braved the crossing to Abaco. She reached the Marls; went right round top and down the east side; and eventually settled in the Cherokee / Casuarina area. She managed to hole up there safely during hurricane Sandy but became sick and was removed to Atlantis for medical treatment and rehab, before being released back to the Berry Is. 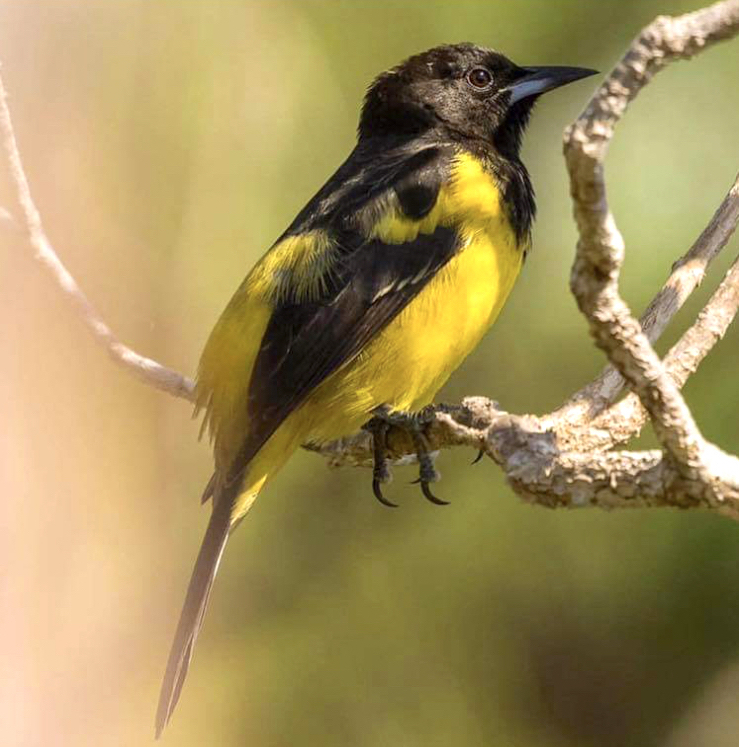 This spring she set of again for Abaco and seems to have made straight for Cherokee, where she has now been resident for several months. Excuse me while I anthropomorphise excessively here. 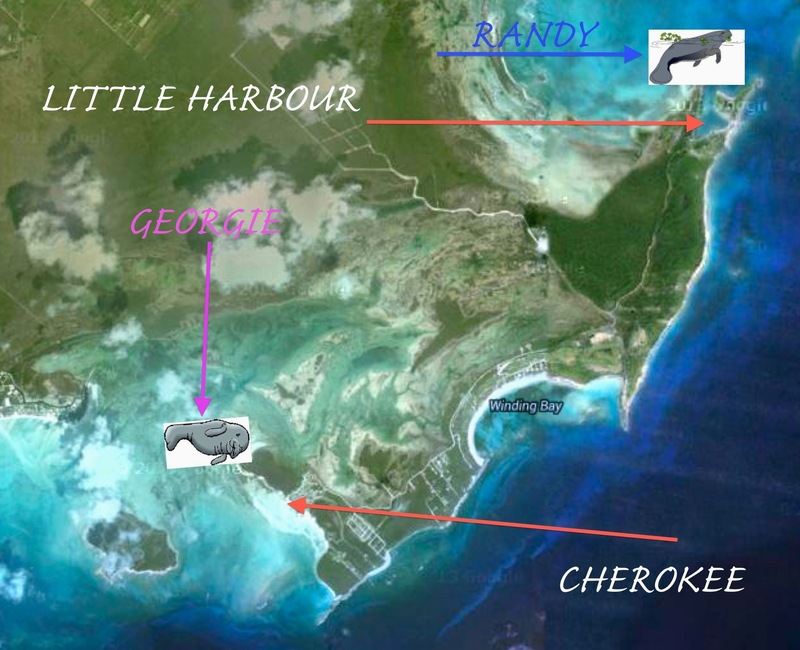 Randy may only be appearing to follow Georgie; the route and the area may happen to suit manatees who may be a short distance apart yet completely ignorant of the presence of the other. Or else… Anyway, more news as (if) it breaks. Here are a couple of maps, of the sort that the red-top press might put together to go with the headline “Lovelorn Randy – A Man Manatee Seeks His Sirenian Siren”. Pictures, page 8, 9, 10 and in sports section. Oh dear. The course of love is rarely straightforward. 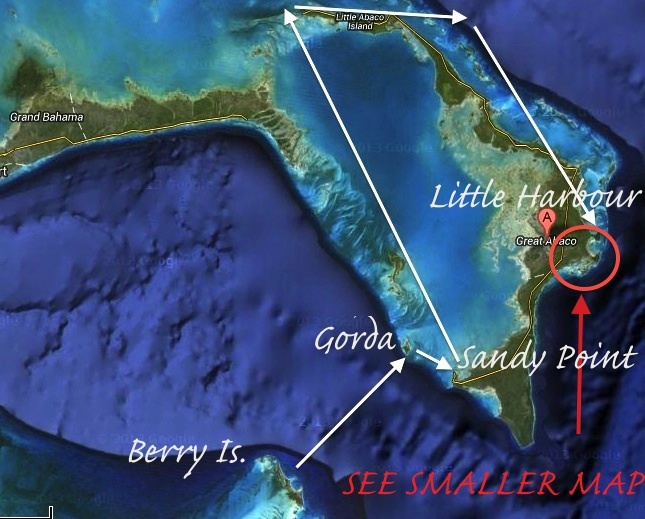 Randy has retraced his route and returned to Castaway Cay. Meanwhile Georgie remains happily at Cherokee. GEORGIE Is she related to an elephant? 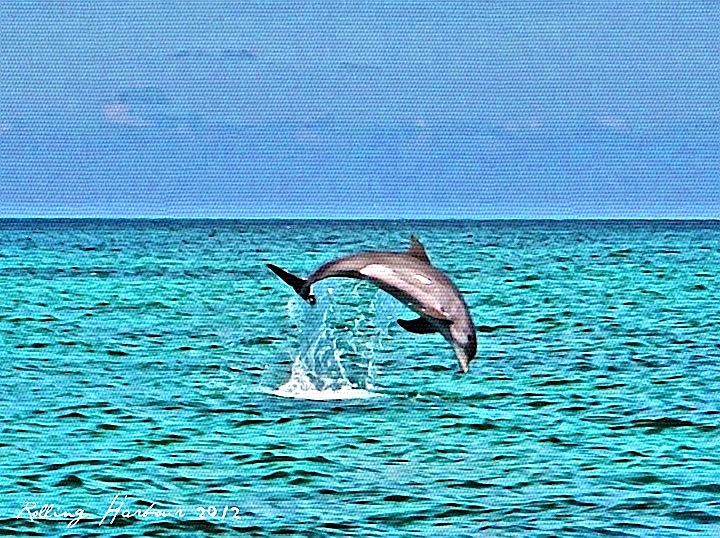 I haven’t posted Abaco whale, dolphin & manatee news for a while. Time for a catch-up. 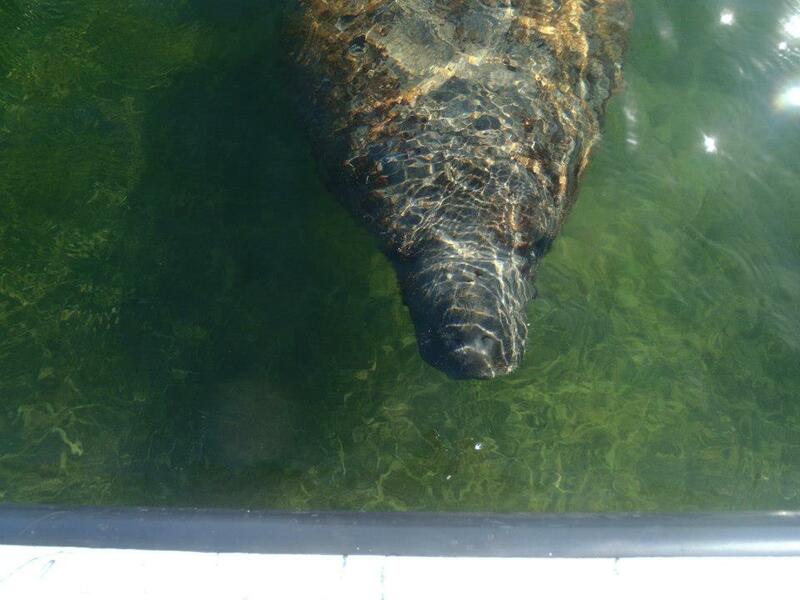 Georgie the young manatee that left her mother Rita and came to Abaco from the Berry Is. alone, is no longer here. 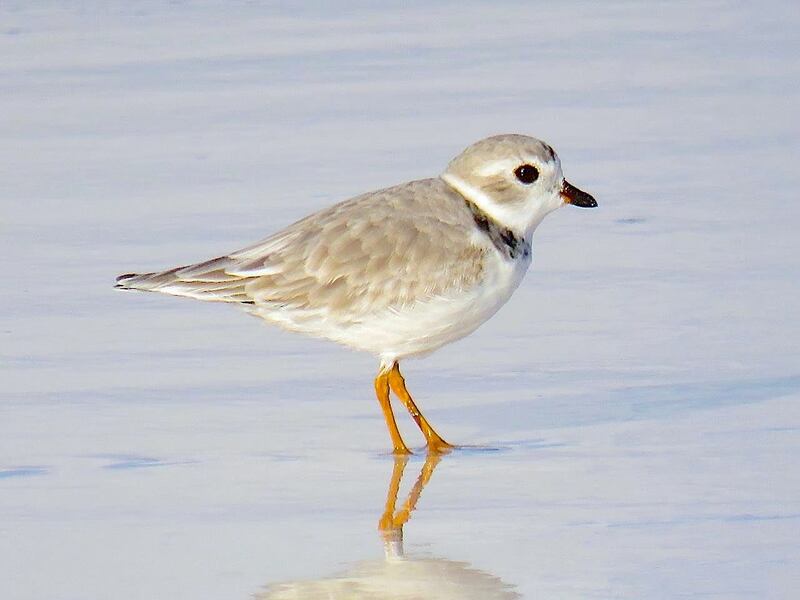 She survived a very long journey, and investigated various coastal areas of Abaco – all the while being tracked. In the end she settled down in the Cherokee area. There were anxious times during Hurricane Sandy when she went missing (having by now shed her tracking device) but she eventually reappeared at Cherokee having found a safe haven from the storm. Sadly, however, her condition deteriorated and in the New Year she was relocated to Atlantis Dolphin Cay Marine Mammal Rescue Center. Some weeks ago a healthy Georgie was moved to a sea-pen to acclimatise her for release back into the wild. 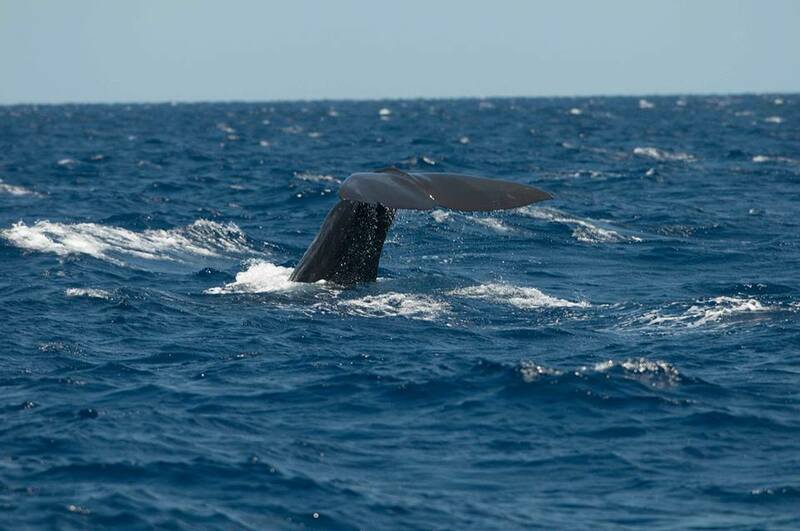 Of special note are the big whales – 3 sperm whales, and a humpback whale reported close to Cherokee. Sperm whales. Humpbacks. How big are they? 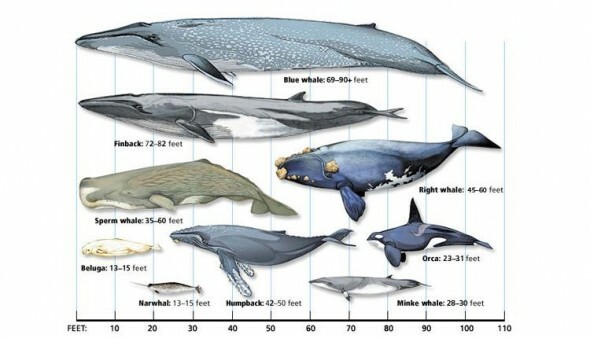 This useful chart shows the average lengths of various whales. I grabbed it off the internet a while ago, but regrettably forgot to mark the source. So, apologies to the originator for using it uncredited, a cyber-sin I try to avoid. 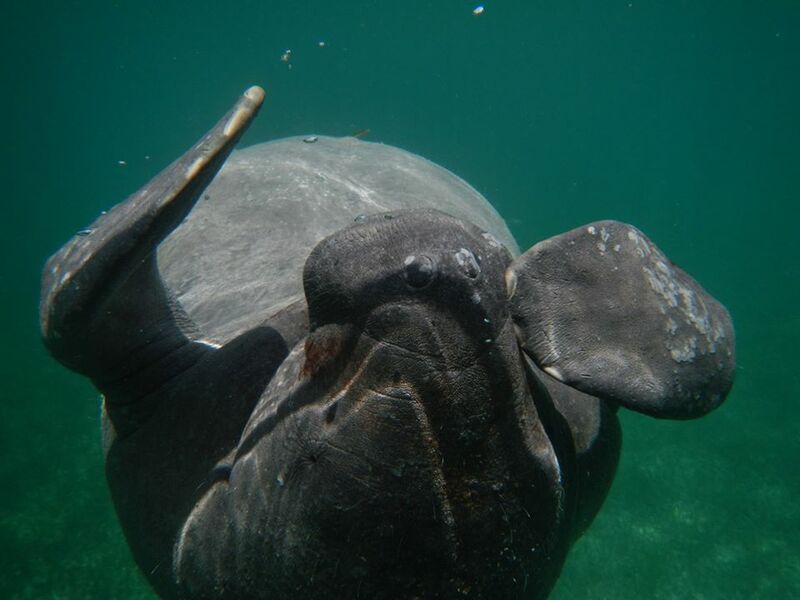 Many people have shown an interest in the adventures of Georgie the Manatee over the last 18 months or so, and the work of the BMMRO in monitoring her movements and welfare. She has travelled a great many miles in that time, to and around Abaco; settled down eventually in Cherokee; successfully shed her satellite tag; gone awol a couple of times; and happily reappeared at Cherokee each time. Recently there have been increasing concerns about her wellbeing, and a joint venture has overseen her capture & return to the Atlantis Marine Mammal Rescue Center for observations and health evaluation. 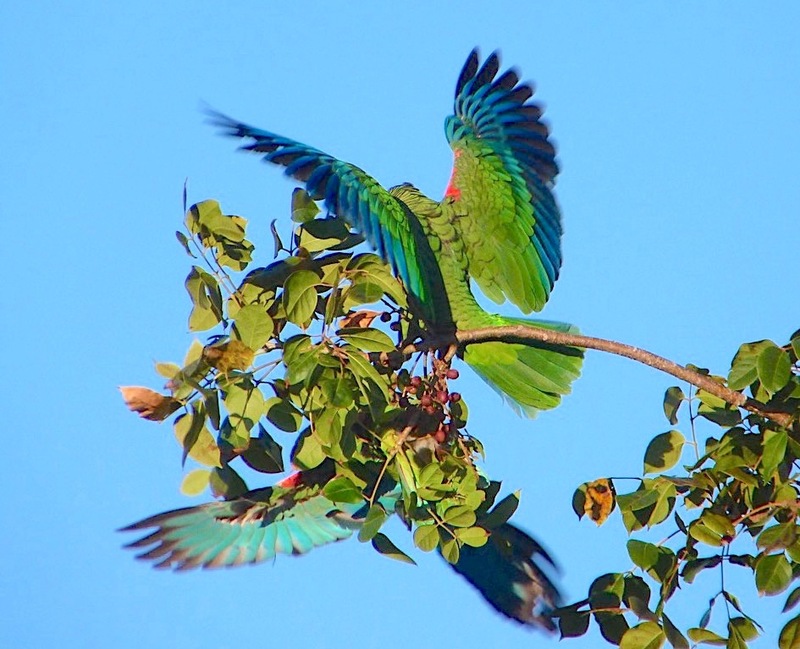 The full story published in the Bahamas Weekly [click logo below] with photos by Tim Aylen is set out below. I have also included some very good pictures of Georgie and the preparations for her journey, taken by Cindy James Pinder (with thanks for permission to use them). 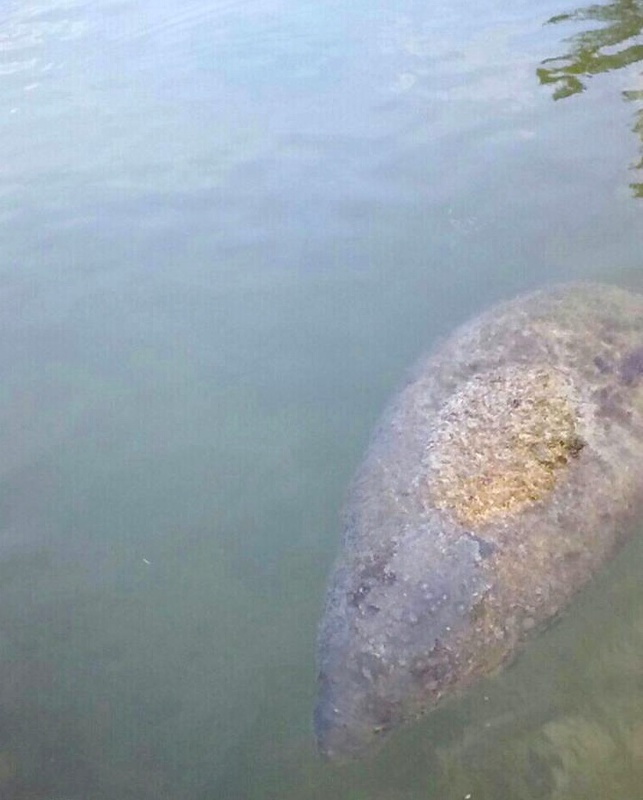 So Abaco – and Cherokee in particular – has sadly lost its only (briefly) resident manatee. 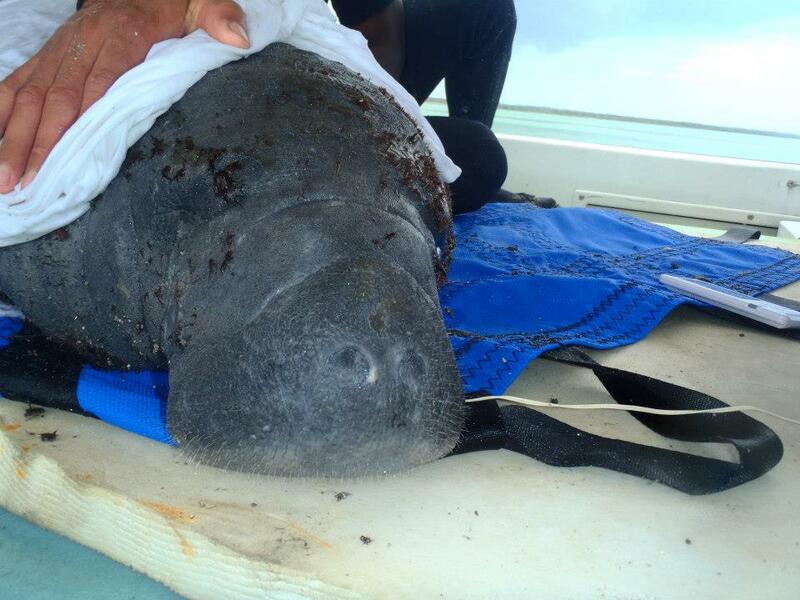 I can’t make out when the last resident manatee was recorded on Abaco, but not very recently I think. Fingers crossed for Georgie’s future – I will continue to post updates on how she gets on. PARADISE ISLAND, THE BAHAMAS The Atlantis Animal Rescue Team, under the direction of the Bahamas Department of Marine Resources (BDMR) and with assistance from The Bahamas Marine Mammal Research Organization (BMMRO), successfully rescued Georgie, a West Indian manatee and relocated her to the Atlantis Dolphin Cay Marine Mammal Rescue Center. 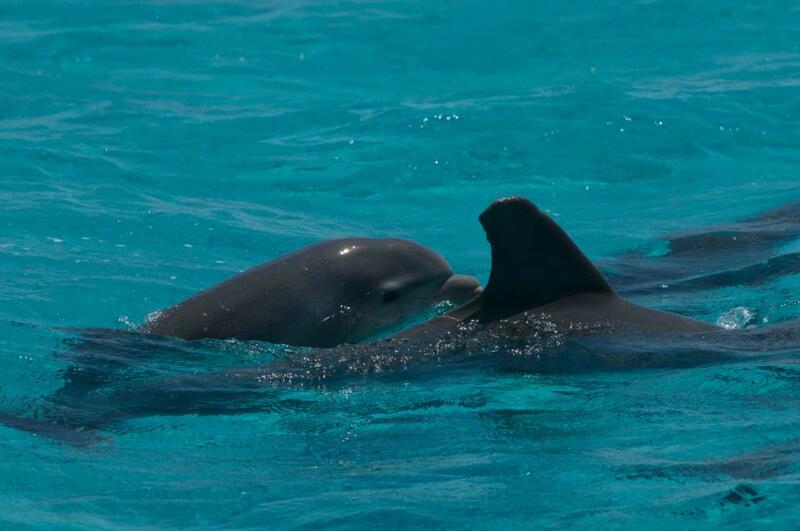 Dolphin Cay is home to the only live marine mammal rescue and rehabilitation center in The Bahamas and is a member of the Bahamas Marine Mammal Stranding Network. Manatees in addition to all marine mammals are protected by the Marine Mammal Protection Act of 2005 and only authorized facilities are able to respond such requests from Government. 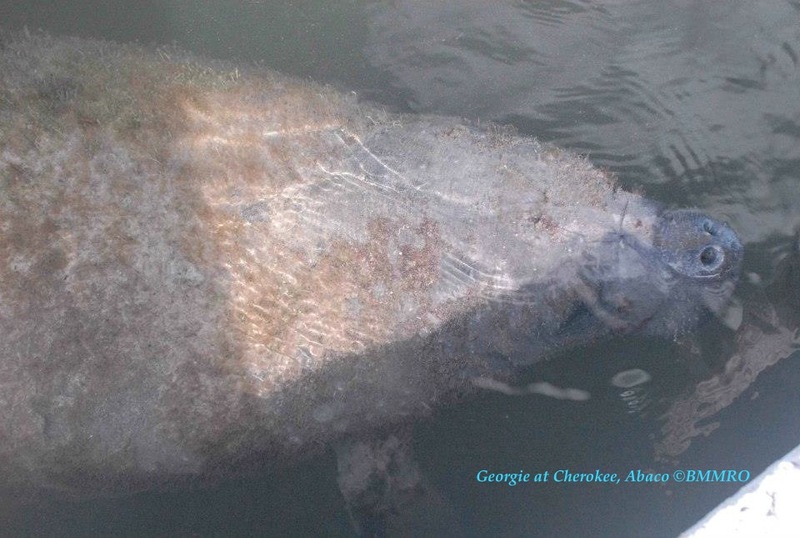 Georgie was first sighted in Spanish Wells in June 2010 where she was born to Rita, a known Florida Manatee. In October of 2011 both Rita and Georgie appeared in the busy Nassau Harbor and at the request of the Bahamas Government, the Dolphin Cay Team rescued them and brought them to a safe environment at the Atlantis Dolphin Cay Marine Mammal Rescue Center where health assessments and evaluations could be conducted. 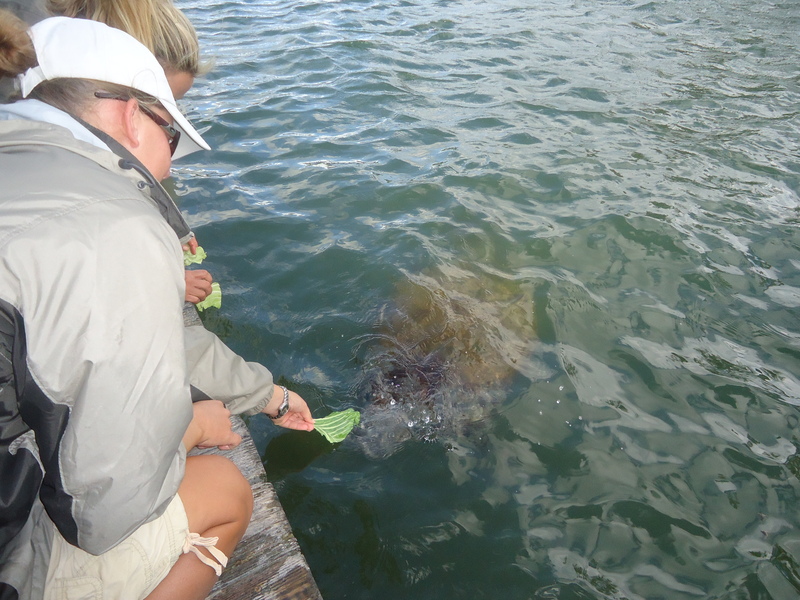 With the assistance of the BDMR, BMMRO, United States Geological Survey, and Save the Manatee Club, the Atlantis Animal Rescue Team released both Rita and Georgie in April of 2012, equipped with tags to monitor their movements for several months. 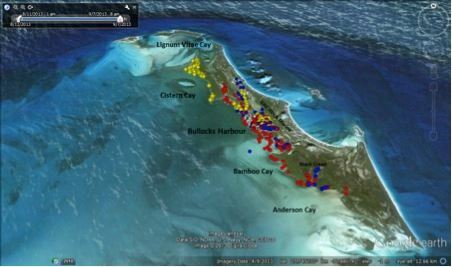 In October of 2012, it was observed that Rita and Georgie had split up and Georgie made a dramatic move from the Berry Islands release site to Cherokee in Abaco, The Bahamas. 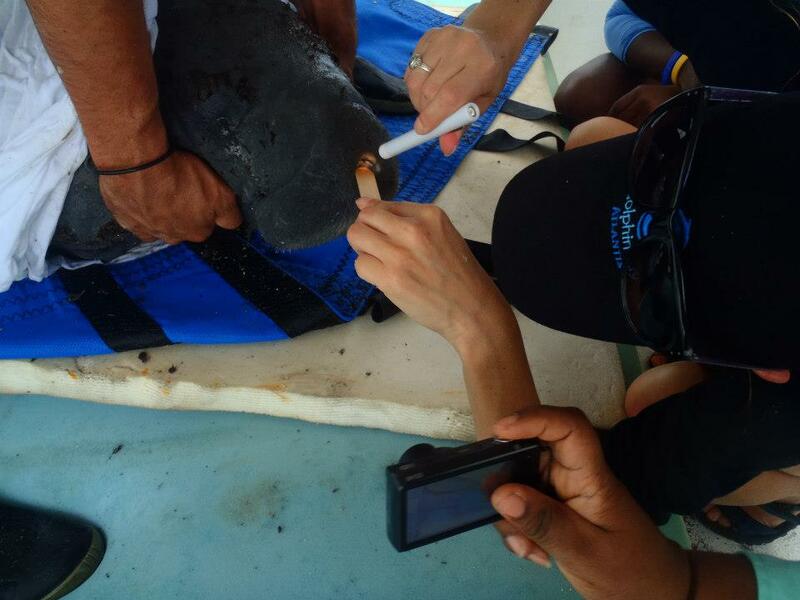 The Dolphin Cay team made several trips to Abaco, meeting up with BMMRO to try to get a good look at Georgie’s overall body condition. Concern was raised by BMMRO recently about her general appearance and the decision was made by the Department of Marine Resources for the Dolphin Cay team to conduct a field health assessment and relocate her to the Atlantis Marine Mammal Rescue Center. Georgie will undergo a series of general health evaluations. 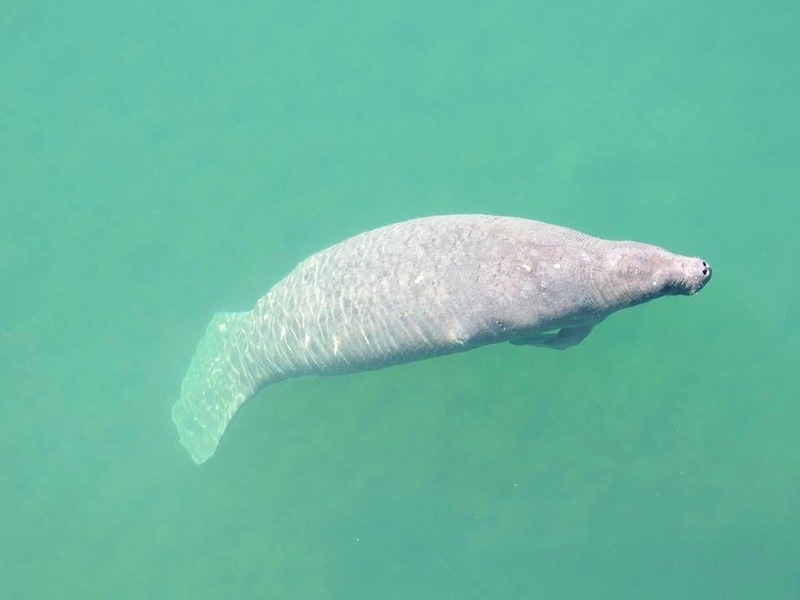 Once she is healthy, the teams will pull together once again and relocate her back to Great Harbor Cay in the Berry Islands with the hope that she rejoins with the resident group of manatees in that area. 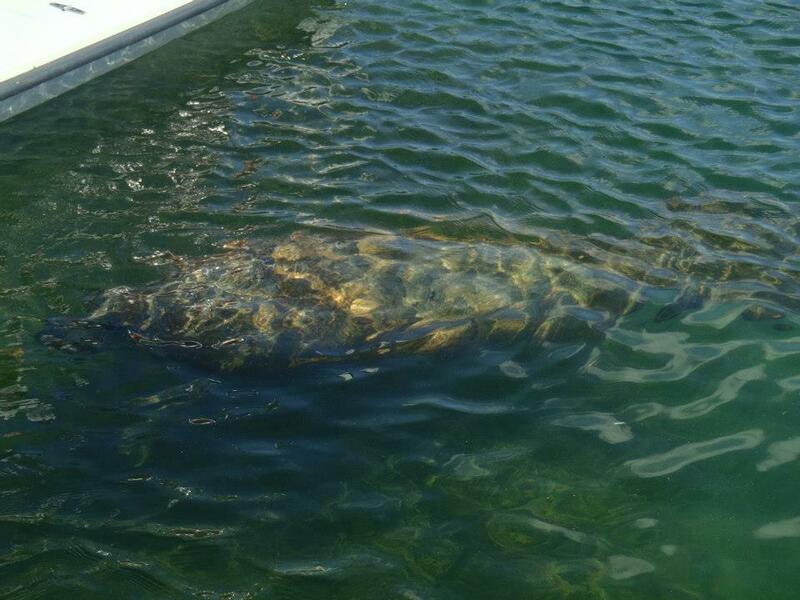 At this time, Georgie is under observation at Dolphin Cay and doing well in her new environment. Atlantis is the home of world’s largest open-air marine habitat with over 50,000 marine animals in lagoons and displays as well as Dolphin Cay, the state-of-the-art dolphin interaction and education center. Dolphin Cay and Atlantis are accredited members of both the Association of Zoos and Aquariums and The Alliance of Marine Mammal Parks and Aquariums. Both the marine habitat and Dolphin Cay were created with the goal of enlightening visitors about the wonders of these remarkable ocean inhabitants. Dolphin Cay is also the residence of the Katrina Dolphins and Sea Lions some of whom were swept to sea during Hurricane Katrina. The last quarter of 2012 produced relatively few open-ocean CETACEAN sightings, not least because of a reduction in spotting trips during the period, with some members of the team elsewhere in the world completing their research. SIRENIAN activity is thankfully on the increase, with reporting opportunities increased by the manatees’ preference for sticking close inshore, usually in harbour areas. 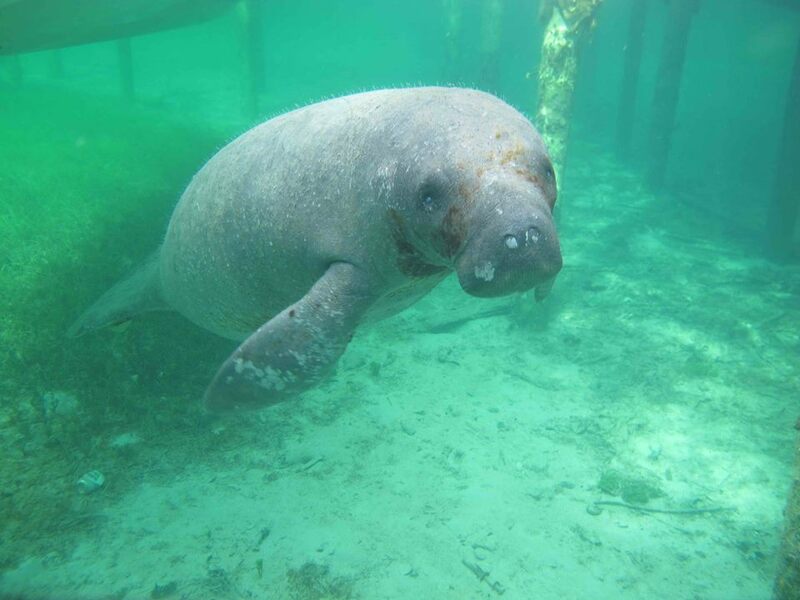 Georgie has gained her first yellow spot as Abaco’s only resident manatee following her long trip over from the Berry Is. (and away from mother Rita) last summer. She has taken up residence in Cherokee. She performed a worrying vanishing trick during Hurricane Sandy, holing up (presumably) in seagrass off-shore, and (definitely) in an inshore channel for some of the time. She went AWOL again before Christmas, but has returned to Cherokee in good condition after a short vacation. Having shed her tag (several times) it was not possible to track her. The big plus is that she has proved capable of independent living, and has not become reliant on proximity to humans and their offerings of cabbage leaves etc… This photo was taken at Cherokee a few days ago. 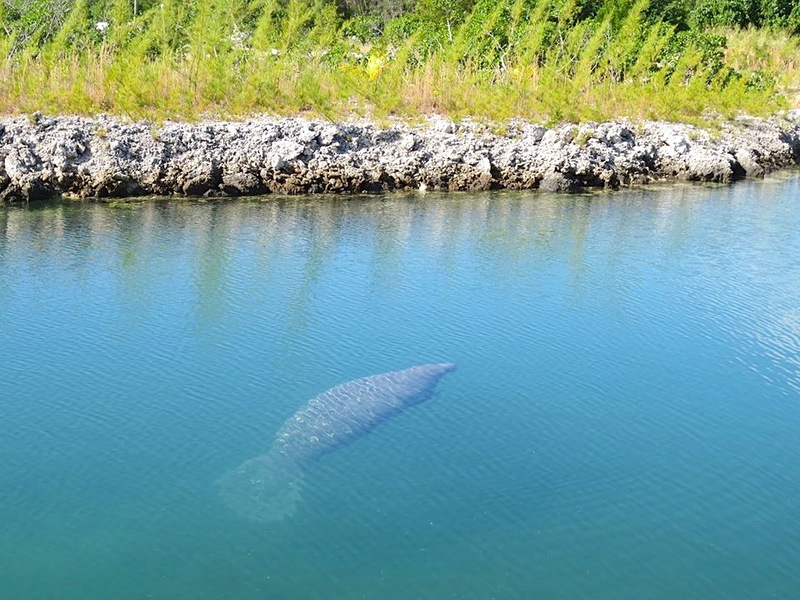 The other notable new entry is a manatee sighting in the Freeport area of Grand Bahama. A single photo exists – a head shot – but it hasn’t been possible to identify the creature as a known one. (S)he may be a new visitor to the Bahamas. People in the area are asked to report any further sightings in the area to the BMMRO – and if possible to get a picture! Finally, the action-packed, information-filled, image-laden 4 page winter newsletter. Click below to open. 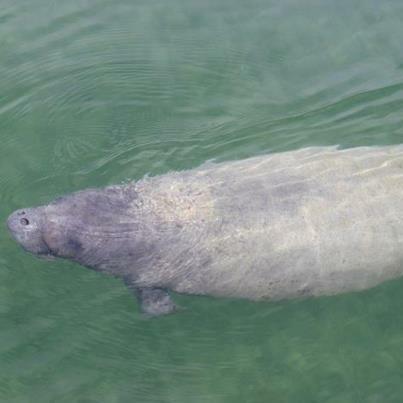 GEORGIE THE ABACO MANATEE: IS SHE RELATED TO AN ELEPHANT? 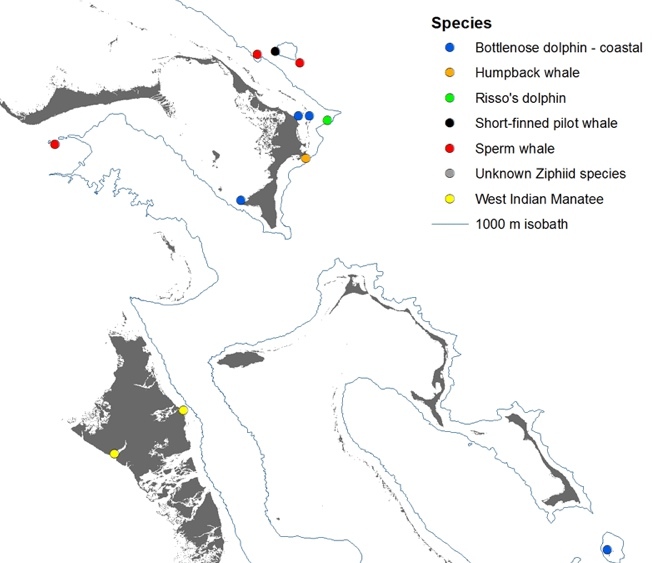 Recently an interesting article by BEACH CHAIR SCIENTIST considered the relationship between sirenians and pachyderms, and added some handy comparative facts (you can seen more manatee facts on this blog HERE). Thanks, BCS, for use permission (the relevant credits are contained in the article). Are manatees and elephants related? It might be very difficult to imagine, but manatees (also known as ‘sea cows’) share a common ancestor with elephants which might come as a surprise if you thought manatees shared a common ancestor with other marine mammals such as dolphins, whales, or sea lions. Here are 10 facts that link manatees and elephants are long-lost relatives. 1. Scientifically, manatees and elephants are classified as subungulates. Other mammals in the Subungulata superorder are hyraxes and aardvarks. 2.Manatees and elephants have an uncommon-shaped heart that is spherical. 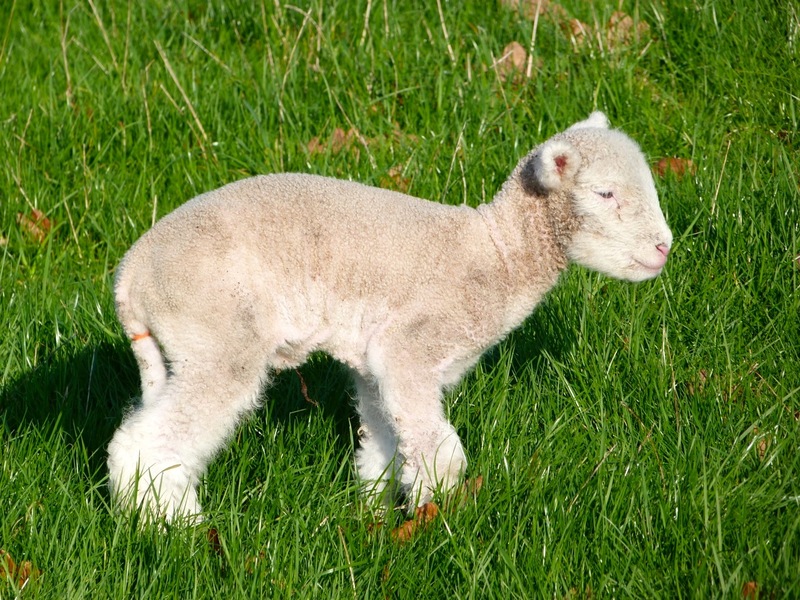 To compare, most mammals have a single-pointed tip at the base (i.e., “heart”—shaped). 3. 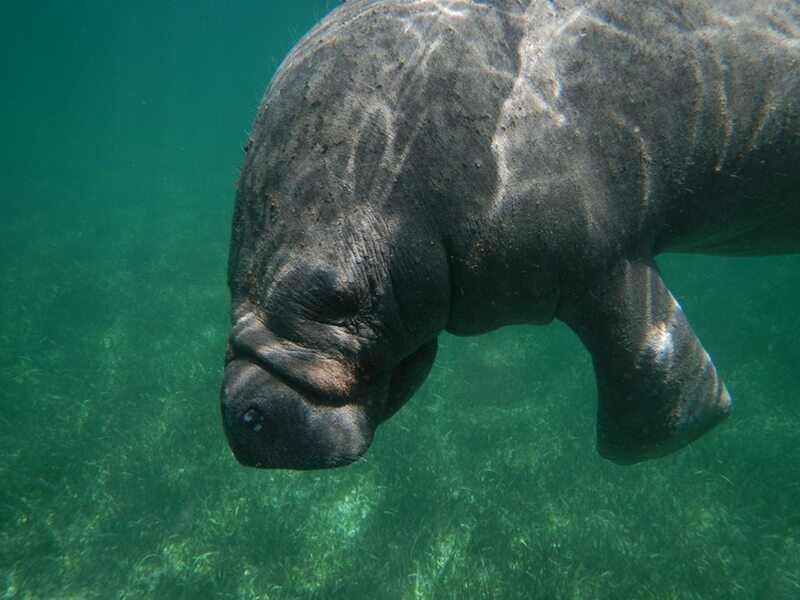 The West Indian and West African manatee have three or four fingernail-like structures on the tip of their flippers, just like that of the toenails on the feet of elephants. 4. Manatees and elephants both have a thick, gray skin with very sparse hair. 5. Manatees and elephants have molars which move toward the front of the mouth, eventually break off, and are restored by those at the rear. Elephants have a limited number while manatees are never-ending. 6. 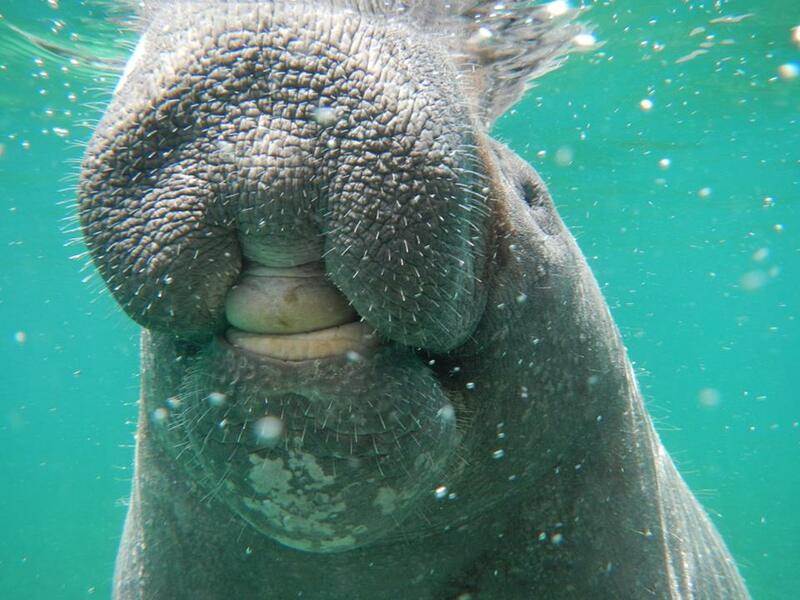 Manatees have two incisors that bear a resemblance to elephant tusks. 7. Manatees use their large, flexible muscular lips to break apart vegetation in the water and skillfully steer food to their mouths. This is very similar to the action of the elephant eating with his trunk. 8. Manatees and elephants are herbivores. 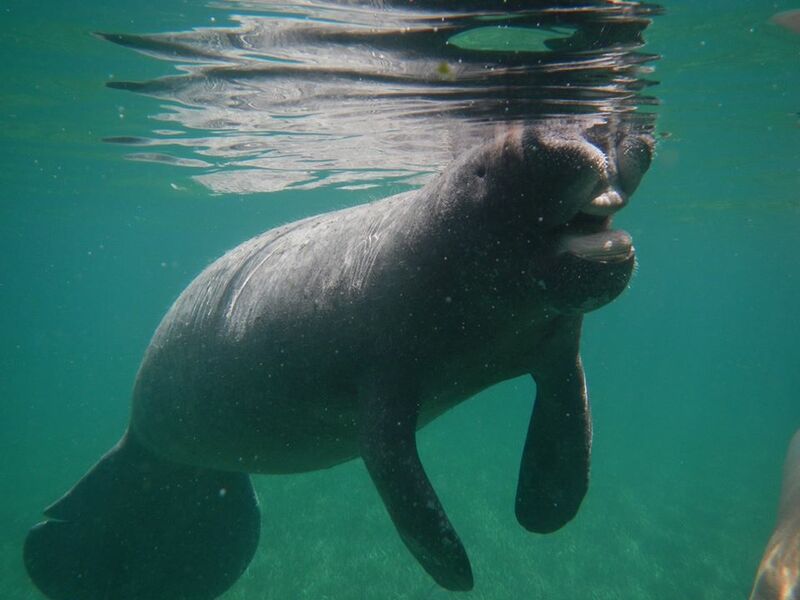 Manatees tend to feast on sea grass and freshwater plants and consume up to 100-150 pounds a day. Elephants tend to feast on small plants, bushes, fruit, twigs, tree bark, and roots and consume up to 330-375 pounds a day. 9. Male manatees and elephants are known as bulls. Female manatee and elephants are known as cows. Young manatee and elephants are known as calves. 10. Manatees and elephants are both endangered. Their numbers have dropped due in a large part to human activities. 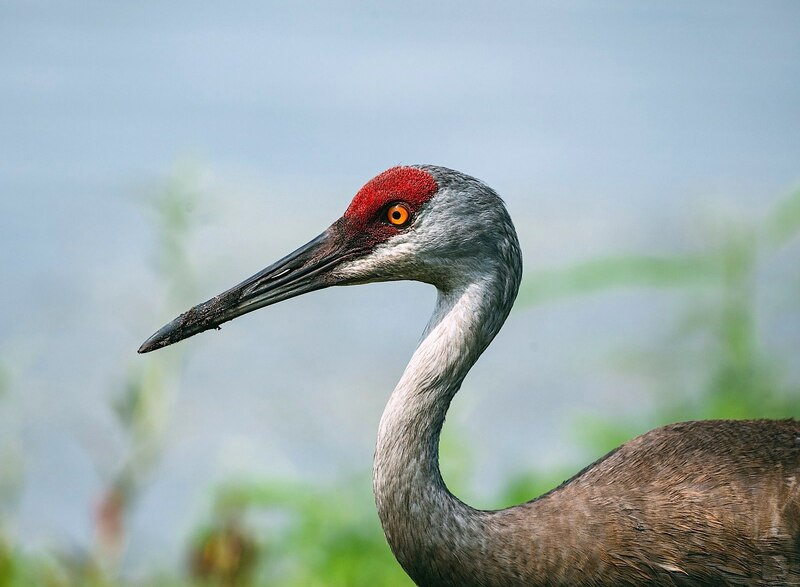 Here is a fantastic TEACHING RESOURCE from the University of Florida and Se Grant extension I uncovered while pulling this post together. To whom thanks also for this: WHAT DO MANATEES SOUND LIKE?